Founded in 1995, the Laura and Gary Lauder Family Venture Philanthropy Fund is informed by ancient Jewish teachings and rooted in the mitzvah of tzedakah – righteous giving – while attempting to catalyze progress. Laura and Gary approach tzedakah through the lens of venture capital, with the aim of inspiring innovation to solve social challenges in our communities. The Fund invests in visionary leaders and projects that have the potential to create lasting impact. This approach requires a high-tolerance for risk, a vigorous effort to learn from mistakes, and a strategic vision to stay focused on the larger goal. Combining the tenets of tzedakah with the techniques of venture capital is a natural fit for Laura and Gary. Both of their upbringings were steeped in tzedakah. Laura’s grandfather, Paul Heller, was president of the Jewish Welfare Fund in their hometown of Canton, Ohio. Gary’s parents, Leonard and the late Evelyn Lauder, along with his grandmother Estee, are the only recipients of the French Legion d’Honneur award, which recognizes great service to the world, who are a wife, husband, and mother. When Laura was just 25 years old and starting out in business as a software sales representative, she made her first gift of $5,000 to the UJA-Federation at a Cabinet Retreat in Israel. Adhering to the precepts of tzedakah, it was 10% of her net earnings and a stretch gift at the time. And, Israel has remained a key focus of her philanthropy. Gary has been a leader in Silicon Valley in any number of important efforts engaged in tikkun olam. He has worked on patent reform legislation in Congress to support entrepreneurs and innovators. He has also served on many nonprofit boards, including the Exploratorium Children’s Science Museum in San Francisco. 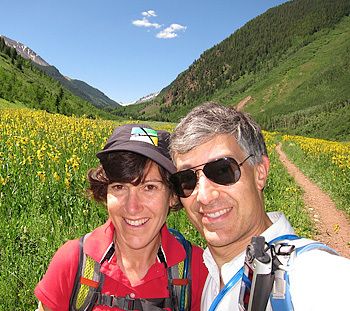 Laura and Gary were early adopters in the field of venture capital. In 1992, Laura joined Lauder Partners, the Lauder family’s venture capital firm. 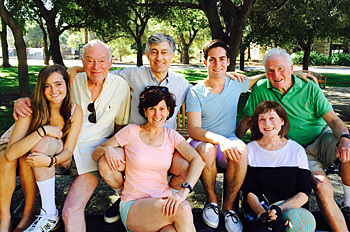 After marrying in 1994, Laura and Gary established the Laura and Gary Lauder Family Venture Philanthropy Fund through the Jewish Community Federation and Endowment Fund in San Francisco. Over the years, Laura refined the Lauder and Gary Lauder Family Venture Philanthropy Fund’s strategy to focus primarily on seed-funding nascent ideas and engaging like-minded philanthropists to bring projects to scale. She further streamlined the Fund’s philanthropy by focusing on giving larger grants to a smaller number of organizations to maximize impact. Today, the Fund has five strategic initiatives where Laura is a founder or hands-on strategic partner, and many more where Laura serves on governing bodies. Laura and Gary take seriously the Torah’s commandment that it is the responsibility of each generation to give back to the community in pursuit of making the world a better place. They understand that it is their responsibility to teach and engage their two children, Josh and Eliana, in the tradition of giving and in the mitzvah of tzedakah. Laura and Gary look forward to continuing the legacy of their parents who are and were great leaders and philanthropists.